Images from Arenas de Rey earthquake, 1884. 800 people were killed. September 23, 2004 At just after 17.48 p.m. yesterday, we were sitting around the table at home in Barcelona picking at cheese when we felt a slight tremor. Slight though it was, it was unmistakable. The earthquake measured 4.1 on the Richter Scale and had its epicentre some 200km away in Queralps in the Catalan Pyrenees. In the village there was some minor damage and frayed nerves. Slight tremors are a common occurrence in the Pyrenees. More than 200 are recorded in Catalonia every year, but there's only one as strong as this one every five years or so. The Iberian Peninsula is only at moderate risk from earthquakes, although every two hundred odd years one as big as six on the Richter Scale will inevitably occur. Iberia, once a plate of its own, is squashed between Africa and Eurasia, and is now fused to and part of the latter. That old saying that Africa begins at the Pyrenees is geologically wrong as well as being xenophobic horseshit, but in a very real tectonic sense Europe did once begin at the nascent Pyrenees. Although major friction is, for the time being, a thing of the past, ever so slowly and ever so powerfully the African and Eurasian plates still push up against each other, and this most commonly manifests itself in the Pyrenees, themselves forged, folded and formed by the ancient clash of the two plates; and in the south-west of the Peninsula, which lies closest to the fault line. That said, Iberia is in no way as active as Southern Italy, Greece or Turkey, where the full weight of Africa is in the process of shearing under Eurasia. 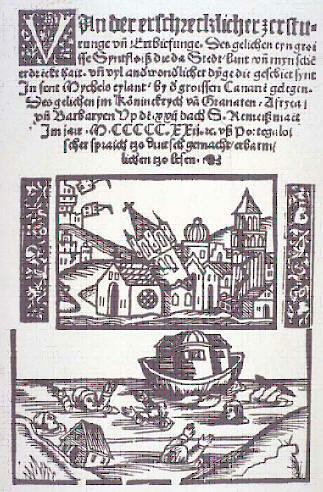 There are dozens of examples of destructive earthquakes in the Iberian peninsula in recent centuries. The worst earthquakes in the Pyrenees in the historical record were in the Olot region in 1427 and 1428 with intensities of greater than X*. (An X-intensity earthquake means most buildings are damaged or destroyed. Roads and brides get buckled and broken. Cracks open up in the ground. Rivers are thrown from their course). This assumes historical descriptions are reliable. It seems they were. Olot was totally destroyed, with extensive damage across Gerona. 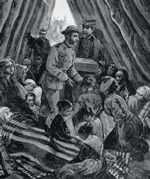 In excess of 800 people were killed. Since the 15th century there have been 17 earthquakes in the Pyrenees with an intensity greater than VIII and, four greater than IX. 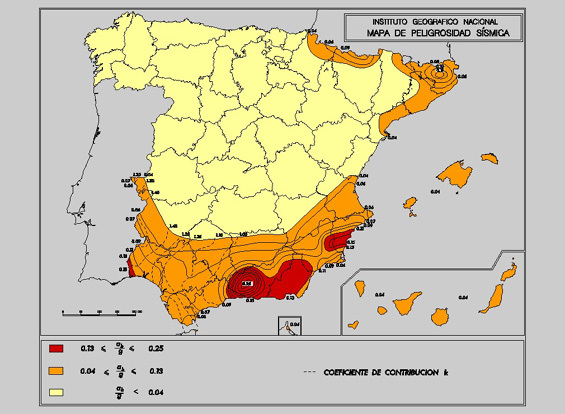 Serious earthquakes also occur in Andalusia in the Cordillera Bética, and to a lesser extent in the Guadalquivir Depression. 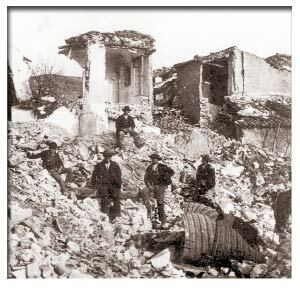 The single most deadly earthquake in modern Spanish history occurred in Arenas de Rey in Granada in 1884 (see photo above) with an estimated magnitude of 6.5-7 (Richter) and an intensity of 10 (MSK). Almost 800 people were killed and 1,500 were injured. 14,000 homes were destroyed. Clearly, an earthquake today in Spain would be serious, but it would not cause anything this amount of destruction. And, the fact that that many years tend to pass between one and the next means there is little awareness of the tiny but potential risk. There is no folk memory. Then again, why should there be. Hundreds die on the roads every year and we continue to get into our cars. Just because something is more spectacular does not mean it is more risky. 200 deaths. 800 homes destroyed. 800 deaths. 1500 injured. More than 4,000 homes destroyed. The Richter Scale is an objective measure of the magnitude of an earthquake by means of a seismograph at 100km from the epicentre. It's use is worldwide. It goes from 1-10. The world record stands at 9.5. They say one of 12 would split the Earth in two. Remember the difference between 4 and 5 is not 10% as strong, but 10 times as strong. The MSK scale (after its inventors Medvedev, Sponheuer and Karnik) is a subjective 'measure' of the effects of an earthquake on land, trees, infrastructure and persons. No instruments are used. It is useful to describe damage to areas where there are no seismographs and particularly these days to compare historical earthquakes. The MSK scale is used in Spain and most of Europe. It goes from I to XII. In the USA and the rest of the world, the more generally accepted Modified Mercalli Scale is used. Both are very similar, though the latter scale is expressed as 1-12 rather than I to XII. It is interesting to note that just before Barcelona was shaken by the September 21 2004 earthquake, a 4.7 earthquake on the adjoining Eurasian plate led to buildings in Kaliningrad on the Russian border with Poland being evacuated. Geologists say that in this case, the tremors were caused by the rising of the Scandinavian plateau, still recovering from the heavy ice sheet that covered the region in the last Ice Age. The two earth tremors may be connected since movements in one plate create new stresses elsewhere. Should Barcelona's seismic risk be adjusted in the light of today's melting ice caps?